This has to be a weird time for Hillary Clinton. The 2016 election was bizarre for a lot of people, but probably no one feels it more than the Democratic presidential candidate. Not only did she end up losing the presidential race, a race she was widely expected to win, but she actually won the popular vote. So even though more voters chose her over President-elect Donald Trump, she still didn't see her presidential dreams realized. But this isn't the first time that's happened throughout U.S. history. So how many candidates have won the popular vote but lost the electoral vote? Most voters in the 2016 election are old enough to remember another recent case of a Democrat garnering the most votes but not actually making it to the White House. In the 2000 election, Democratic candidate Al Gore won the popular vote by 543,816 ballots nationally. Ultimately, his Republican challenger, George W. Bush, won the Electoral College and became president after a contentious recount that ultimately wound its way up to the U.S. Supreme Court. It's unsurprising, then, that Gore has since become a critic of the Electoral College. Since Clinton joined the club of would-be popular vote presidents, Gore has been speaking out about his belief that the Electoral College should be dismantled. Even though he continued to support the Electoral College after he lost to Bush, he has had a change of heart. "I have changed my view on that. I do think that it should be eliminated," Gore told NBC news. But even Gore wasn't the first candidate to be the central figure in this rare outcome. The first was Andrew Jackson, who won the popular vote in the 1824 election but shored up less than 50 percent of the electoral votes. In that election, four candidates were major players who divided up the Electoral College and popular votes. Though Jackson, the Democratic candidate, won both, he still didn't have the actual majority to secure the presidency, coming in at 99 electoral votes. Ultimately, the House of Representatives named the next president, John Quincy Adams. The next time it happened was in 1876, and this time the Electoral College vote was much closer. Samuel Tilden, the Democratic candidate, won the popular vote, but was narrowly defeated in the Electoral College by Republican challenger Rutherford B. Hayes. Hayes secured 185 electoral votes to Tilden's 184, leaving 20 electoral votes uncounted in contested states. After a legal battle, the uncounted votes were eventually awarded to Hayes. The 1888 election is the fifth instance in which a candidate won the popular vote but not the electoral. Democrat Grover Cleveland won the popular vote and 168 electoral votes. His opponent, Republican Benjamin Harrison, secured 233 votes in the Electoral College and took the presidency. So there you have it. 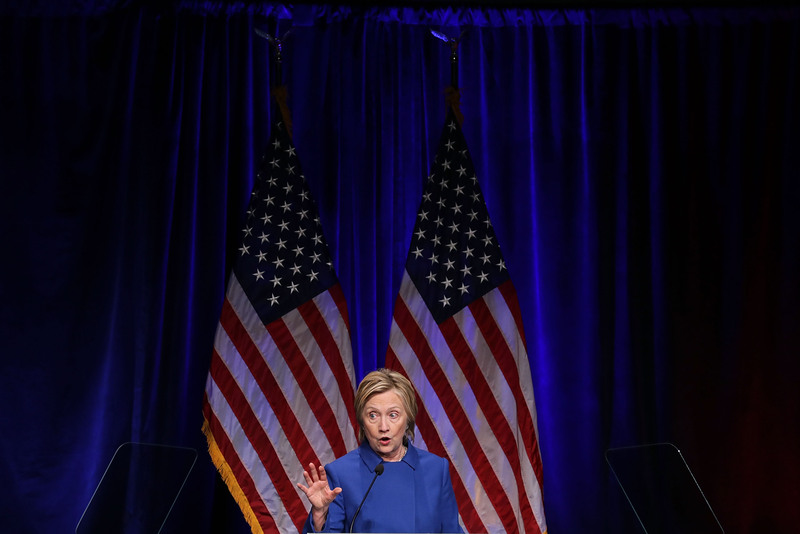 Clinton has joined a group of five Democrats who have lost out on their chance to sit in the Oval Office because of the confusing Electoral College. What a club to join, right?